Simultaneously broad and pointed, as its title would suggest, Lincoln approaches a man of historically influential multitudes by zeroing in on the crucial moment of his presidency. The most mature and straight-forward narrative of Steven Spielberg’s career, Lincoln prioritizes aura and atmosphere over biopic retellings. The majority of its running time is spent allowing scenes to play out in medium shots of beautifully costumed reenactments. Yet, the words are so powerfully written, from poison-tongued Thaddeus Stevens to the mentally scarred and broken Mary Lincoln, that the film beats to its own internal pulse. Understanding that “politics” is just another name for “power,” Lincoln places emphasis on its lead character as a symbol by showing the effects he has on a nation and what toll this responsibility has on him. With the South reeling, the Civil War is ending. Knowing that the war’s end will spell a roadblock in passing the major amendment to end slavery, Abraham Lincoln must face the moral, social, and political difficulties of leading America in the direction he believes it needs to go while limiting further bloodshed. With the passing of the 13th Amendment as its driving action, Lincoln gives us the 16th president as a soft-spoken, moral anchor who withstands the brunt of opinionated wheelers and dealers in scene after scene. Everybody in these crowded rooms falls on drastically different sides of the issue at hand. Progress comes at a glacial pace in a democratized political system. Getting a cohesive decision from a group voted into office can be as difficult as pushing a boulder. The great achievement of Lincoln is indicting a system built to move at a painstaking speed even when debating seemingly urgent human rights. Yet, the film itself makes kinetic drama out of the political process by never halting into dry slowness. The effect is a very satisfying dramatic resonance, reminiscent of a great stageplay. As much as Spielberg’s careful, patient direction, Tony Kushner’s script toes the line between artistic objectivity and dramatic string pulling that’s woven so invisibly into the plot that Lincoln hardly manages to be manipulative. In a key scene towards the end, the war has finished and the Amendment vote has passed, Lincoln strides for the first time into a battlefield littered by young bodies. Here blacks and whites are strewn together in death. Now devoid of prejudice and bigotry. Lincoln’s most effective statement is that we are, above all, just humans, incapable of true understanding or oneness. Again touching on the ease with which opinions can be formed without any firsthand knowledge of the truth, Ulysses S. Grant speaks candidly to the president by telling him, “You knew this was ugly and intimate.” With a slight turn of his head, it is clear that he did not. Reason does not consider human life. And you cannot reason your way out of a pile of dead bodies. It will not be difficult for many to see this film as a peace offering for our present severed political state. Like today, in Lincoln, one party cries that the apocalypse will come if the other party’s “radical” measures are passed. Now, like then, life will move on, things will change, and the generation past will inevitably think down upon the next generation. This is eloquently mirrored by the emotionality, handled with manner and hope, in Lincoln’s own family. 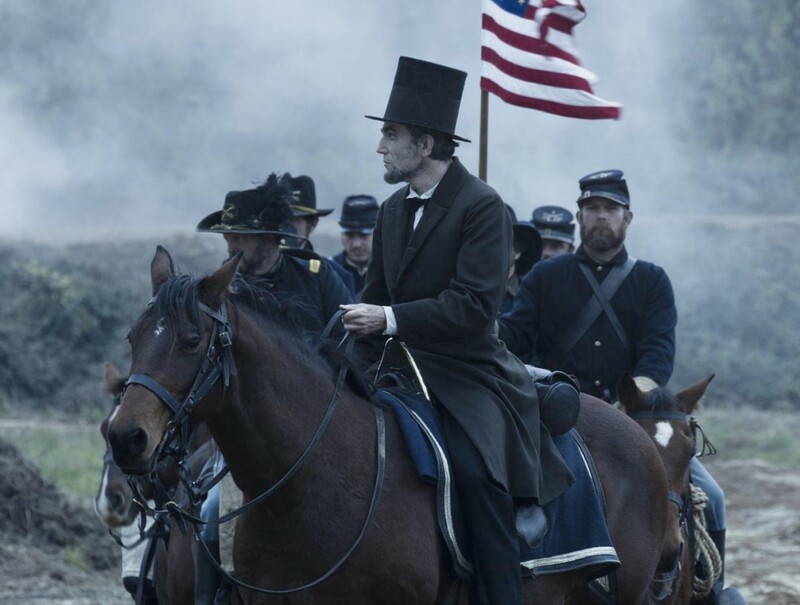 As he does with the strong-willed politicians, Lincoln deals with Mary, depressed about the loss of her son, and his oldest son’s intention to join the army, with a cool practicality that desperately tries to carve away any unnecessary sentiment. Choosing comforting anecdotes over rhetoric, Lincoln speaks slowly, with a kind smile, to draw the splintered citizens and politicians into his web. He gets what he wants by giving a little too. In many respects, Lincoln exploits the fleeting fears and shallow needs of those around him for the major decisions he expects from them in return. He knows that in an argument both parties think themselves equally correct, therefore, an effort to turn someone will be rendered fruitless in most cases. Unlike Joaquin Phoenix, whose performance his will be compared only because of award fervor, Day-Lewis ranges from the lightness of man emerging slowly from deep thought to the aggressive rage of man brimming with convictions that he is unwilling to budge on. Knowing how to place an exclamation point as well as anyone, Day-Lewis speaks with deliberateness until he slams his hand or lifts his chin and makes clear that his stature as President has had enough of all the indecision. Day-Lewis is matched by an excellent slate of veteran actors such as Tommy Lee Jones, Sally Field, James Spader, John Hawkes, and Joseph Gordon-Levitt. 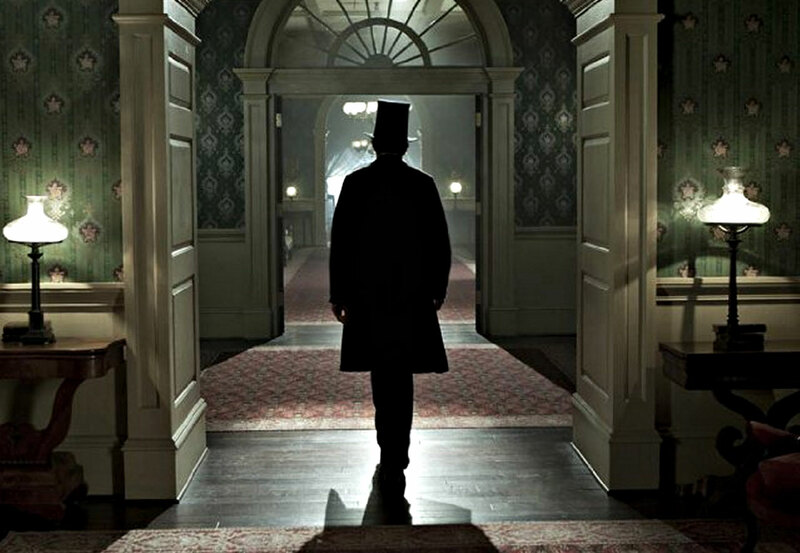 Stylistically, Lincoln has all the grandiose awe that Spielberg audiences have come to know. 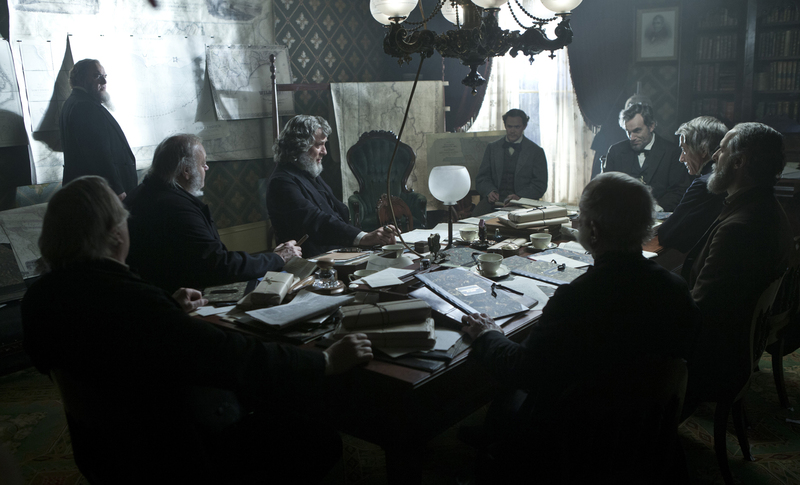 Creating the atmosphere, Janusz Kaminski images push Lincoln into the shadows as a presence standing beside, rather than above, the many voices that surround him. The costumes, tailored and costume fit, allow the actors to each carry a unique personality without comically standing out above the rest. Most telling is Thaddeus Stevens’ “Donald Trump” toupee, rested lopsided on his bald head. Period pieces have a habit of being buttoned-up and proper, but Lincoln knows that is simply inaccurate. Like the creased suits and crooked wigs, the production design shows us rope hanging from chandeliers and the build-up of dirty glasses in the kitchen. 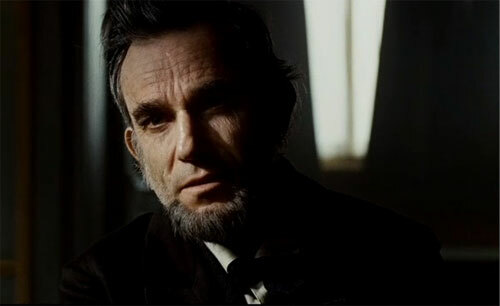 Almost devoid of the emotional exploitation synonymous with Spielberg’s dramatic works, Lincoln does fall into momentary traps in its final act. Missing from the majority of the picture, John Williams’ expectedly grinning score emerges over the Amendment vote; a section that teeters on obvious motion picture suspense. Furthermore, why show the assassination of Lincoln if not only to plead to our heartstrings? As a needlepoint for the man, the film’s small narrative might have worked better had we not had the inevitable tie-off of Lincoln’s death. There is a moment earlier where Lincoln moves alone through a White House corridor that seemed a more fitting final shot. This entry was posted in Films, Lincoln, Movies, Reviews and tagged Abraham, cinema, Daniel Day-Lewis, Films, James Earle Haley, James Spader, janusz kaminski, john hawkes, joseph gordon-levitt, Lincoln, Movies, oscars, Raviews, Sally Field, steven spielberg, Tommy Lee Jones. Bookmark the permalink.